Donald Trump claimed Friday that Democratic election officials in south Florida 'probably' plotted to rig the 2016 presidential election there against him, saying their slowness in submitting results indicated that only his sizable lead prevented them from trying to 'falsify' the results. The president sent a series of tweets while Air Force One was en route to Paris, blasting Broward County Supervisor of Elections Brenda Snipes, a Democrat, for 'finding votes' to whittle away at Republicans' leads in U.S. Senate and gubernatorial contests that they appeared to win on Tuesday. 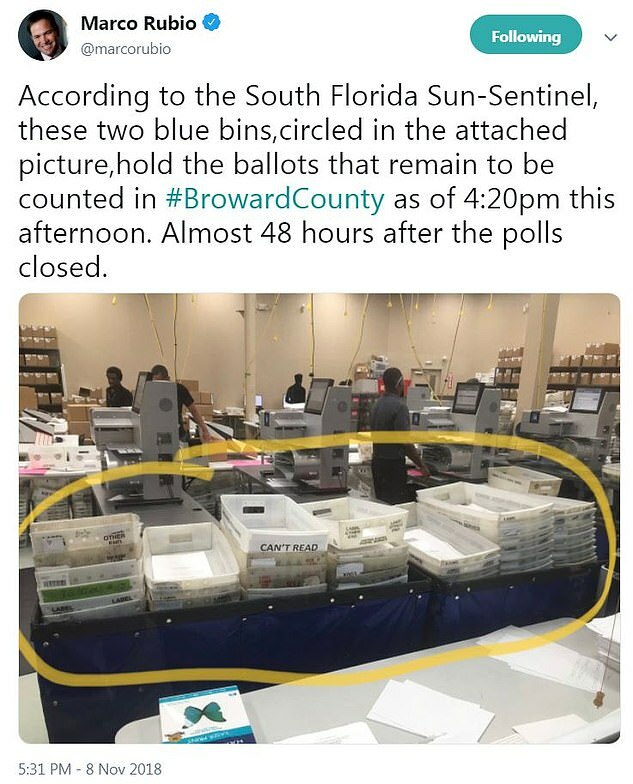 Snipes is required by Florida law to tell state officials how many ballots were cast in her county, and to update the counting numbers every 45 minutes. Her office has done neither, causing Republicans to worry about a lack of accuntability that could be ripe for partisan abuse. 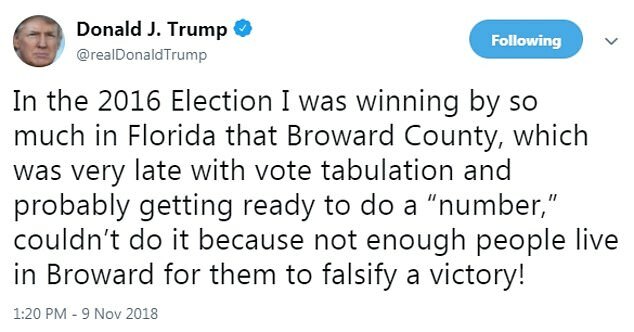 'In the 2016 Election I was winning by so much in Florida that Broward County, which was very late with vote tabulation and probably getting ready to do a “number,” couldn’t do it because not enough people live in Broward for them to falsify a victory!' Trump wrote. 'We need to ensure a FAIR PROCESS,' said the email, send under Trump's signature. 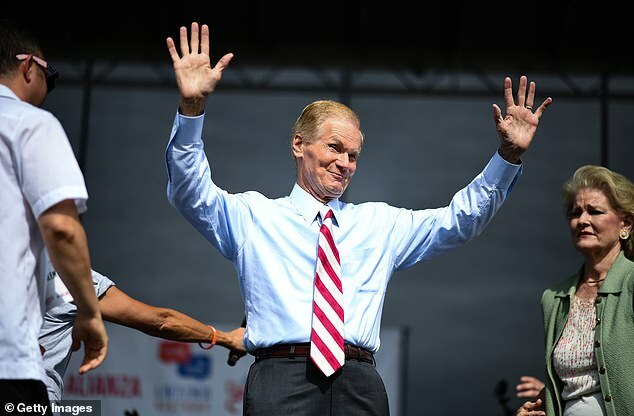 Scott, the current Florida governor, challenged Democratic Sen. Bill Nelson for his seat. 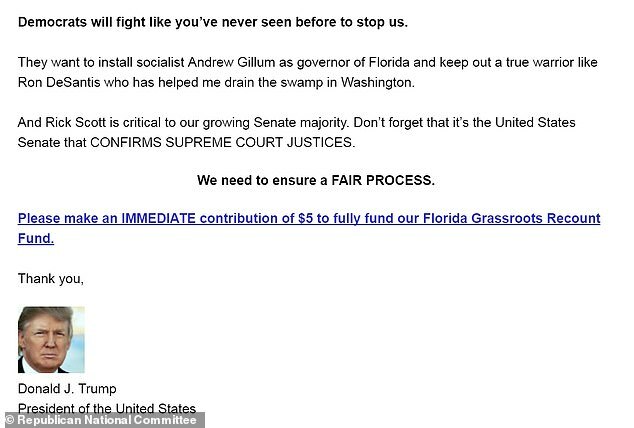 DeSantis is a member of the U.S. House who ran against Tallahassee's Democratic Mayor Andrew Gillum. 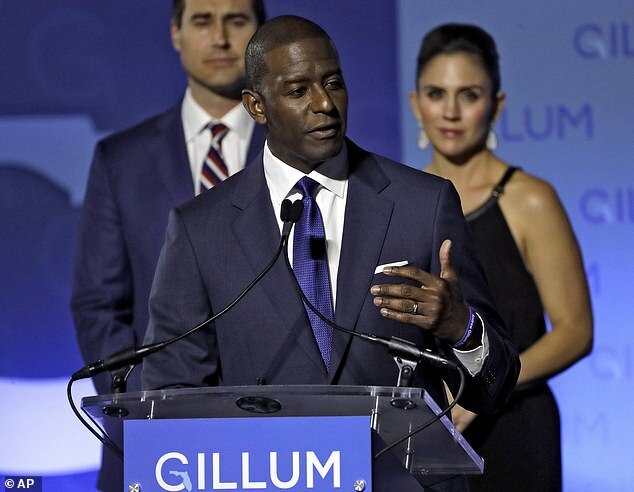 Gillum withdrew his concession on Thursday. 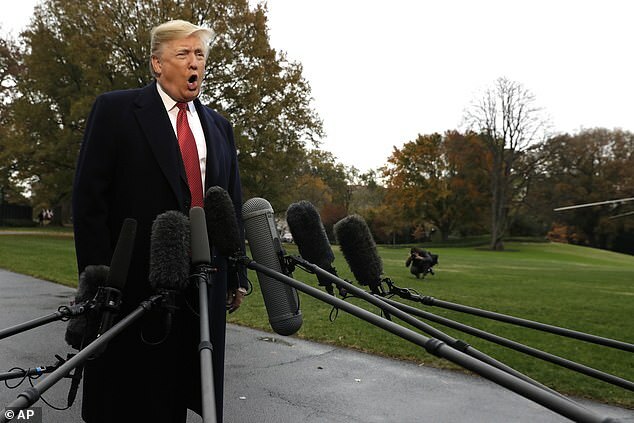 Trump claimed Nelson had also 'conceded,' something several Florida newspapers incorrectly reported as Tuesday wore into Wednesday. The president's complaints came after he had already lashed out at Broward County's top election official, suggesting 'dishonesty' could play a role in handing Nelson a victory when the dust settles. 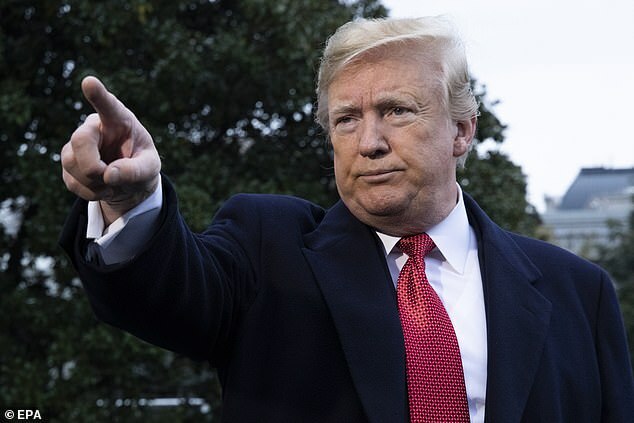 Trump tweeted about that race and one in a neighboring state, snarking about Democrats' efforts to change unfavorable results. 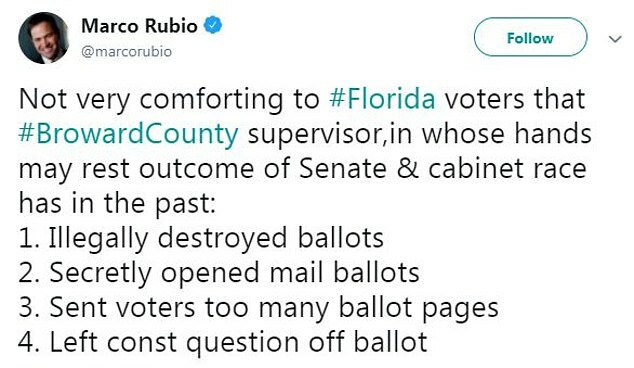 'You mean they are just now finding votes in Florida and Georgia – but the Election was on Tuesday? Let’s blame the Russians and demand an immediate apology from President Putin!' he wrote. 'They have had a horrible history,' he said of Snipes' department at the White House on Friday morning. 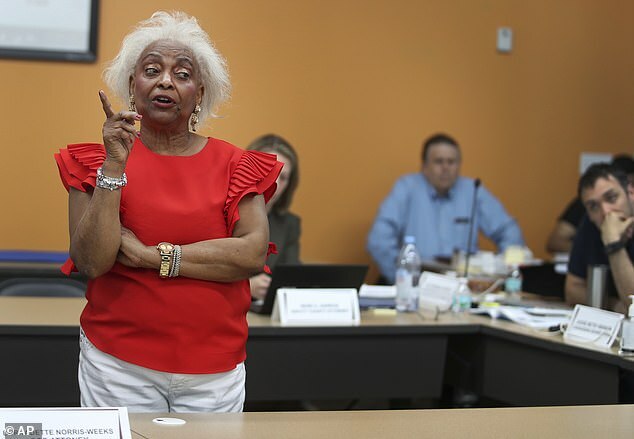 Snipes has a checkered past there, including a judge's finding that she illegally destroyed ballots in a previous election. She 'has been to court' and 'she lost,' he said. The margin between Scott and the incumbent Nelson narrowed as additional ballots were located in Broward and elsewhere. The race now stands close enough to trigger an automatic hand-recount statewide. 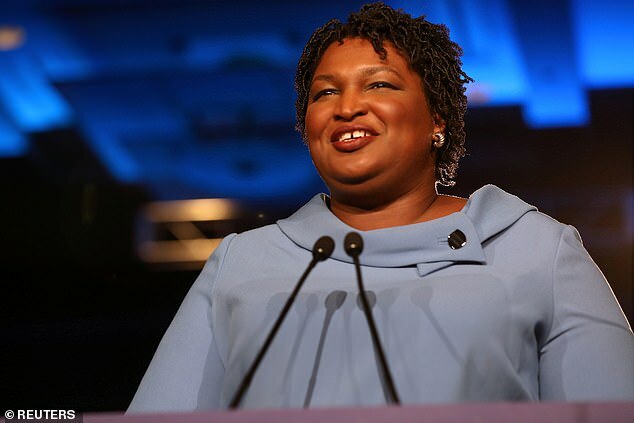 Trump tweeted as Air Force One left for Paris that Georgia gubernatorial hopeful Stacey Abrams should give up her quest to force a runoff with Brian Kemp, who defeated her on Tuesday in Georgia. '@BrianKempGA ran a great race in Georgia – he won. It is time to move on!' he wrote. If Kemp's final total is 50 per cent or less of all the votes cast, he will have to battle Abrams again on December 4. The president complained at the White House about Hillary Clinton's 2016 campaign lawyer Marc Elias, who is supervising Nelson's push for a recount. Elias also was the middle-man that year when the Clinton campaign and the Democratic National Committee sent millions of dollars to political research firm Fusion GPS, a transaction that launched a so-called 'dirty dossier' on Trump that alleged he cavorted with prostitutes in Moscow. Scott unleashed lawsuits against Broward and Palm Beach Counties on Thursday, accusing Democrats of trying to steal the election. Both the Senate seat Scott thought was his on Tuesday night, and the governor's contest that looked all but won by Republican Ron DeSantis, are within the margin for recounts. 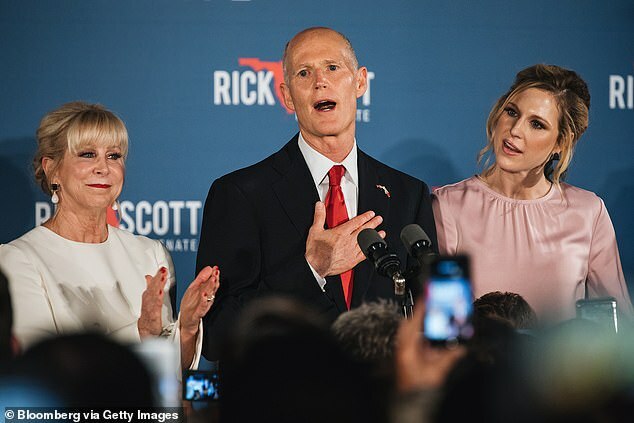 'The people of Florida deserve fairness and transparency, and the supervisors are failing to give it to us,' Scott claimed. 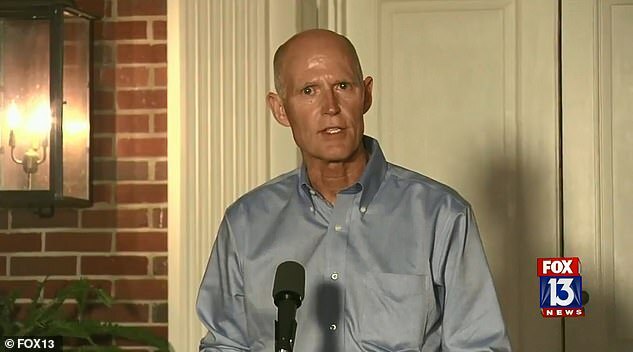 The lawsuit was filed about the same time Scott, as governor, ordered state law enforcement officials to investigate the Broward and Palm Beach voting operations. Elias's role in the Florida recounts will continue to be a sore spot for Republicans. 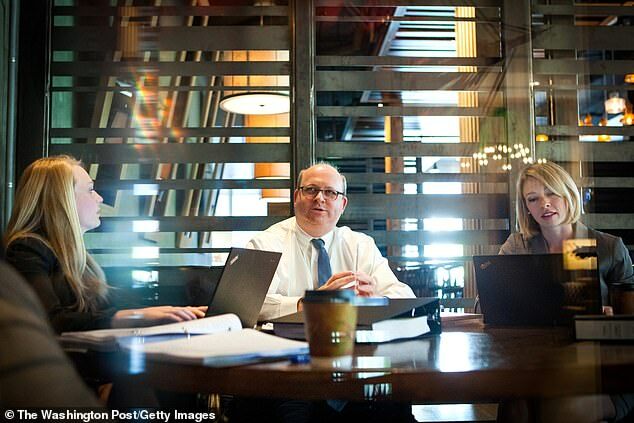 'Folks involved in funding this lied about it, and with sanctimony, for a year,' Times reporter Maggie Haberman tweeted after The Washington Post linked the dossier to Elias and his law firm Perkins Coie. The deal was born in the spring of 2016, when Elias was approached by Fusion GPS, and lasted until just before Election Day that year. When Fusion approached Elias, it had already been doing anti_Trump research work for the conservative Washington Free Beacon during the Republican primary season. After the DNC and the Clinton campaign started paying, Fusion GPS hired former British spy Christopher Steele to do the dirt-digging. His work later resulted in the dossier, which made unsubstantiated claims that Trump patronized prostitutes while visiting Moscow, and that he paid them to urinate on each other while cavorting on a bed that Barack and Michelle Obama had slept in during their pown previous trip to Russia's capital city. Trump has called the material 'phony stuff,' and the White House has complained that the dossier's other unconfirmed allegations were part of the Obama-era Justice Department's justifications fo spying on Carter Page, one of his campaign advisers. Elias also led the five-month recount process that resulted in the 2008 election of former Minnesota Democratic Sen. Al Franken, who won that contest by just 312 votes. It was later determined that officials counted the votes of at least 341 convicted felons in the state's largest county. 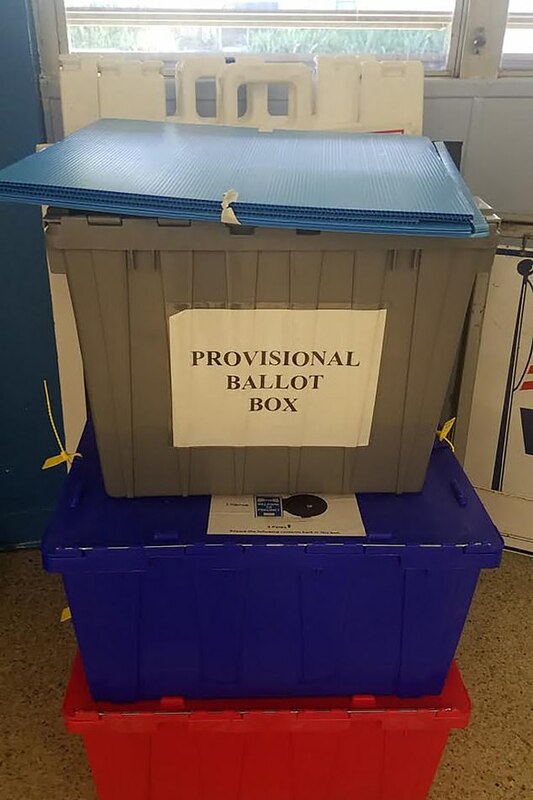 Another 52 voters cast ballots illegally in a second county. Franken resigned in disgrace last year following the publication of a photo showing him groping an actress while she slept on the way home from performing in a USO tour. 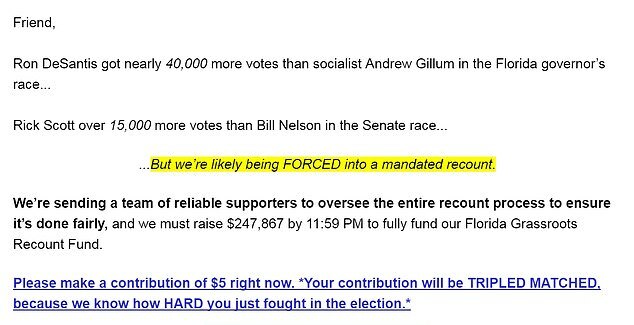 Senator Nelson's re-election bid now trails Scott's by just 17,000 votes, within the .25 per cent margin required for a hand recount.